All Google+ pages, including Brand Pages, are being deleted on April 2, 2019. Google+ communities without a U-M G Suite owner are also being deleted. 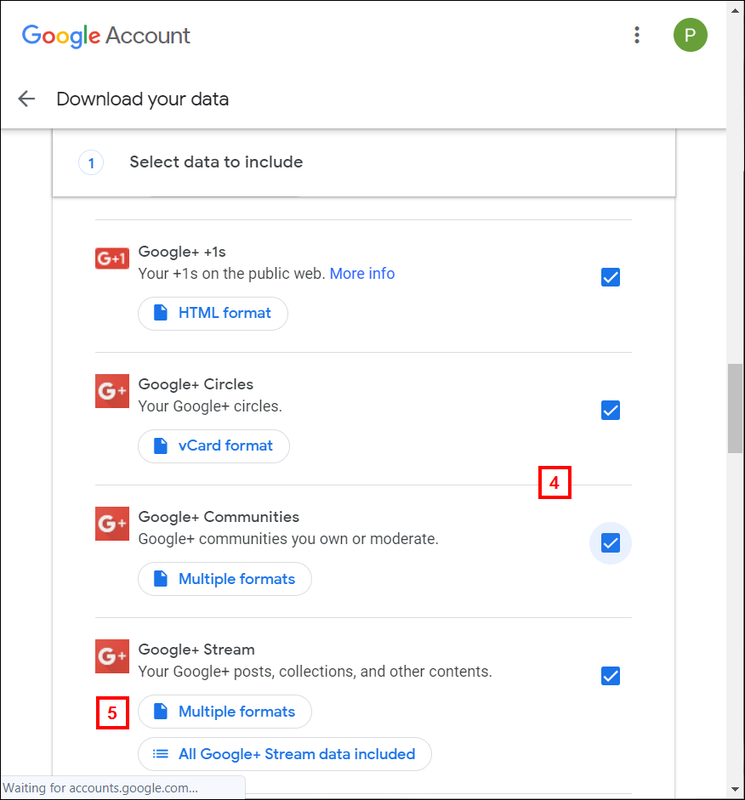 Follow these instructions to download your Google+ content using Google Takeout. 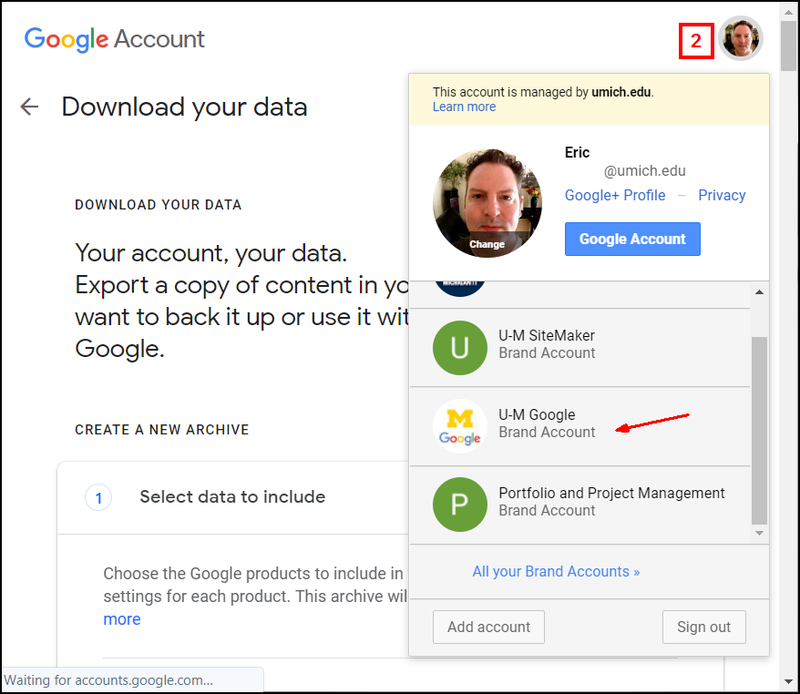 Log into Google Takeout with your U-M Google account. If you are downloading content from a Brand Page, switch to the brand account using your profile circle in the upper-right. Note: This step can be skipped if you are downloading your own Google+ content. Scroll down and check the Google+ content boxes to download. 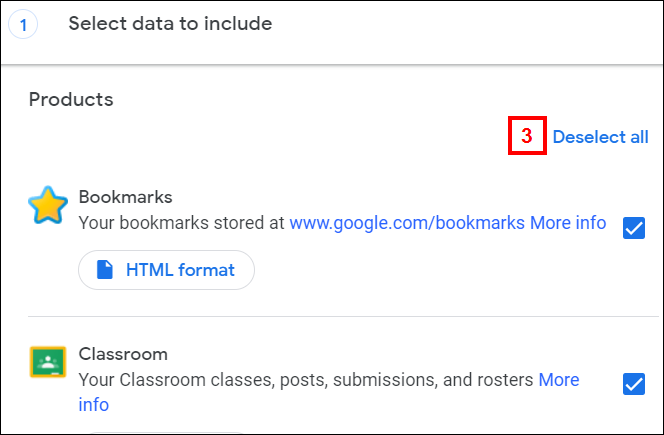 Click Multiple formats to choose HTML or JSON format. Click Next Step at the bottom of the page. Choose to have the archive downloaded to Google Drive or emailed to you.